Companies are offering custom design and printing of business cards everywhere, but who offers the best deal? Is the card really custom? If you are not using a designer then it is up to you to include all the key information and design a card that is truly custom and brand building. Technology has changed the world of printing and color is no longer an option with a large price tag. When comparing printing companies ask about full color. Quantities can vary a great deal, too. The higher the quantity the lower the price per piece. However, printing 2000 cards may feel excessive, so look around. Some printers have a minimums of 100 or less. Don’t forget there’s two sides on your card! The back side can make a huge impact on building your brand – use this side for your mission statement, tag line or what sets you apart from the competition. It may look simple but it can make a big impression. Other ideas for the back: list services/products, product photo, show a photo of your store front, list awards, etc. Keep it simple and legible but don’t be afraid to use the real estate. 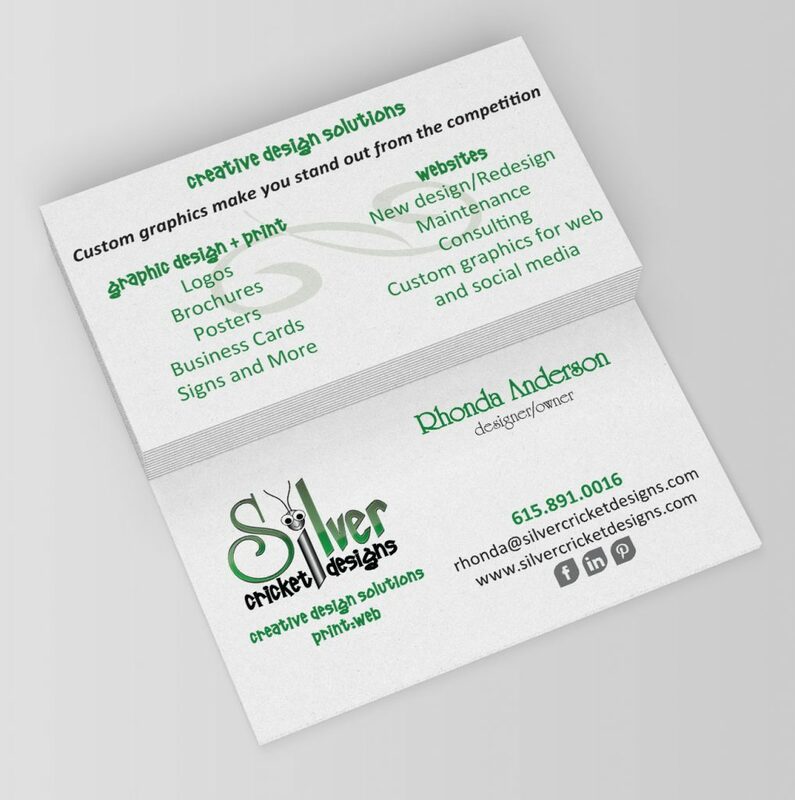 If you would like help designing a custom, one of a kind business card, give us a call. We’ll take you through the design process and handle the printing for you too. Call 615-891-0016.